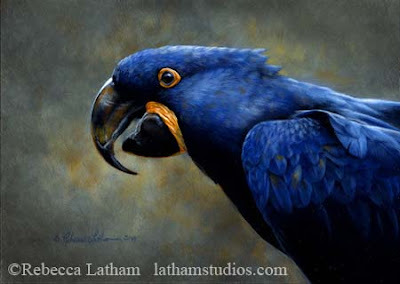 Rebecca paints in what is known as a "miniature" painting style- creating rich, realistic paintings. Read more about painting in miniature (which doesn't mean making tiny paintings!) here. Do you know someone whose art you would like to see featured on Colourisma? Suggest in the comments or email me!